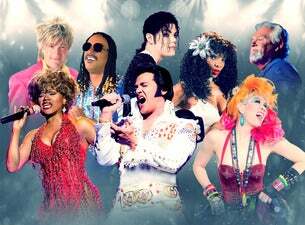 Legends in Concert is the world’s greatest live tribute show direct from Las Vegas. The award-winning production features incredible tribute artists with live vocals, an ensemble cast of singers and dancers with signature choreography, and a live band comprised of top musicians that bring the musical experience to life. Returning to The Palms at Crown in 2019 with talented performers performing as Rod Stewart, Tina Turner, Stevie Wonder, Elvis Presley, Michael Jackson, Donna Summer, Cyndi Lauper & Kenny Rogers! Packed with all-star talent and powerhouse vocals from the world’s top tribute artists, the legendary show entertains audiences of all ages.